As you probably know by now, I’m a huge proponent of getting runners to add yoga to their training. 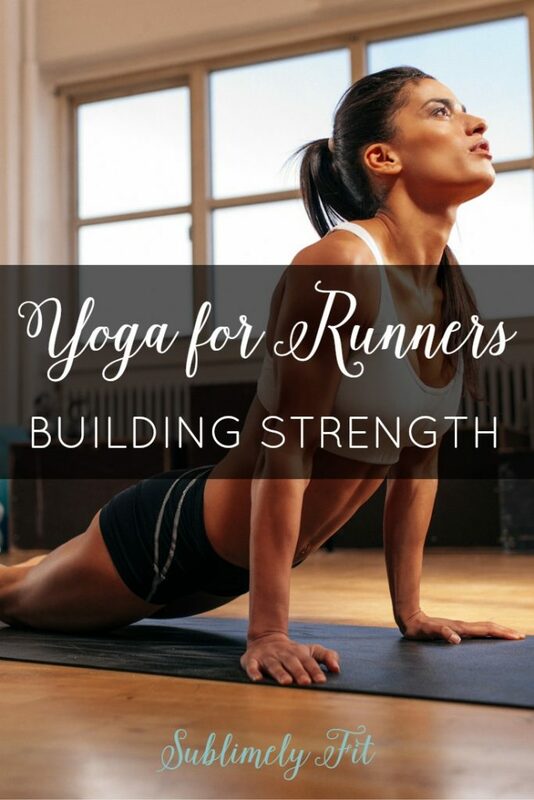 Yoga has many benefits for runners, including building strength, which is my focus today. My hope is to convince you that yoga is a great way to add some strength training to your routine, helping you become a better runner. I’ll start with my own story. I started practicing yoga about five years ago, using it to help me train for my half marathon PR and to eventually break two hours in the half marathon. However, after about a year of having a consistent yoga practice, I stepped away for a few months. I was writing my doctoral dissertation and running high mileage training for a PR at the Chicago Marathon, and I just didn’t have time to make it to yoga class. That was a huge mistake. I wound up with a hip flexor injury that caused me to have to DNF at the Chicago Marathon, a heartbreaking experience for me. I went to physical therapy to rehab the injury, where I learned that my glutes had gotten weak, and some of my other muscles like my hip flexors were overcompensating. My yoga practice had been helping me keep my hip stabilizers nice and strong, but when I stopped working on keeping them strong, I wound up with a bad injury that made me take several months off of running. So why is strength important for runners? Being strong will help you become a faster runner because your running muscles will be stronger and can work harder. Total body strength will help you maintain good running form, helping you run more efficiently. But strength in the muscles that stabilize the joints in the lower body will also help prevent injuries. Many running injuries are ultimately caused by weakness in these stabilizing muscles, so it’s important to create a strength routine to keep them strong. That’s something you can easily do with yoga. A well-rounded yoga practice will strengthen your entire body. Throughout the course of your practice, you’ll work different parts of the body, working your thigh muscles in lunges and chair pose, building core strength in staff pose and side plank, and so on. If you plan your practice accordingly, or if you have a teacher who has designed a good yoga for runners class, you can work out your entire body in as little as half an hour. Hour-long classes are great for building endurance, too, if you have time. I sincerely hope that you’ll try to use yoga to build strength as you run. In addition to building strength, you’ll also increase your flexibility, work on your breathing, and improve your mental focus. So, yoga is a great way for runners to multi-task and get a lot of benefits from one relatively short workout. 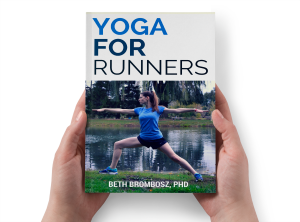 If you’d like to learn more about adding yoga to your running training and get access to some great videos with yoga sequences designed specifically for runners, ask for more information about my Yoga for Runners Online Program! 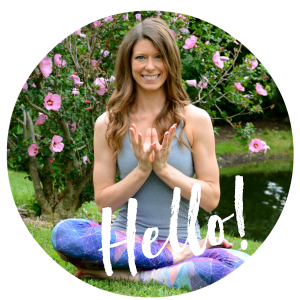 I definitely noticed a big drop in my strength when I stopped doing yoga! I mean, think about how many push ups you are doing in a single flow, and multiply that! Elite marathoner Nate Jenkins swears by yoga! Thank you for this post! I started yoga mainly for flexibility but have really started to notice the strength component as well!